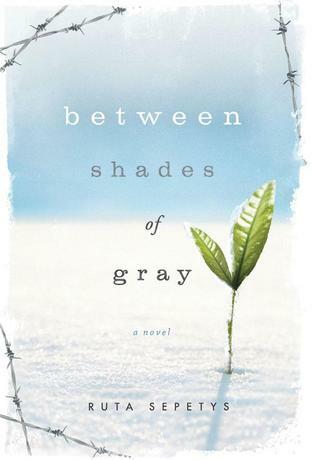 Between Shades of Gray is about Lina, a fifteen-year-old Lithuanian girl, and her family who are forced out of their home one night by Stalin's men. Forced to leave and work in a camp in Siberia, Lina finds solace in documenting her experiences through drawings in hopes that they will find their way to the camp her father is at. Lina struggles to survive through the ordeal with the help of strength, love, and courage. Review: Wow. This has got to be one of the best books I've read in a long time. It's a very heavy book emotionally, but told so beautifully. Lina, one of the main characters and the narrator, tells this story in a way in which emotion can be derived from the simplest of words. I absolutely adore the flashbacks throughout the novel; they provide greater detail about the narrator and her life before being taken by Stalin's men. It's almost like a puzzle; each memory fits together and gives us a clear portrayal of Lina and her family. This book is raw and poignant. It explores what happened during the time of Stalin's rule during WWII. Even though Stalin had similar motives to Hitler and did carry them out, we don't really hear as much about him as we do Hitler. And believe me, Stalin was almost as bad, if not worse, than Hitler. Lina, and many others who were forceably taken from their houses, endured starvation, sickness, the harsh winters of Siberia, and even death. There was a new person dying everyday right in front their eyes. It's almost unbelievable how harsh the conditions were. Sadly, though, they're all too real. Sepetys explored a very rough time in history and produced a beautiful novel as a result. Lina's simple conclusions and short thoughts really make her seem like a simple character, but she is far from it. She kept up her courage and fought for over twelve years, even when it seemed like survival was impossible. Her tale was inspiring and incredible. Final Verdict: They say there's one book that really opens your eyes and changes your view on things. I believe this was the book for me. Five stars.